YOU may know you’re a Good Company, but who else knows? Chances are your company and staff do a lot within the community, but if you aren’t sharing the social impact of these actions, you are missing out on a massive marketing opportunity. Not to fear, Do Some Good is here! Do Some Good makes it nearly effortless for you to share your community goodness through one of the most powerful tools known to mankind – storytelling. Storytelling is an incredibly valuable method of raising brand awareness. People relate to stories; they are a great way to bridge the gap between producer and consumer, showing your human side and forming a personal connection between your brand and your customers, which does wonders for your bottom line. Today, corporate social responsibility is more important than ever. Consumers want to align their purchasing dollars with companies that do good, but if you aren’t telling your giving story, it makes it very hard for them to see you in that light. 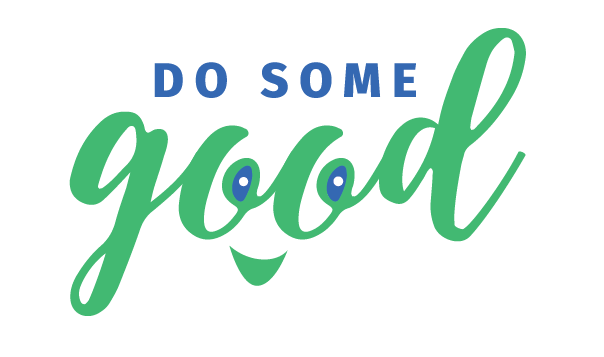 Share your goodness on Do Some Good! With a continuously growing audience of community-minded individuals, your story can go a long way and make a big impact among people who truly care. "There's a sense of pride that I didn't necessarily have before. When you see [your profile] with everything that your [company] is accomplishing, it's a great feeling." The newsfeed, where posted stories appear, is the first page all users see when they log on to Do Some Good. EVERYONE can post stories – your company, employees, charities and individual volunteers. This collective storytelling is the best part! You don’t have to be the only one in charge of telling your company’s story; empower your staff and the charities you partner with to help! They can essentially act as your brand ambassadors, using the "@" function to mention your business. Every time your company is @ mentioned, the story will not only appear on the main newsfeed, but also on your company’s profile AND the profile of who mentioned you. It’s a three-in-one! You can even re-share stories that you like within Do Some Good, curating content and populating your profile even further! HOW IS Do Some Good DIFFERENT? Unlike Facebook, Twitter, and Instagram where you get a mix of promotional material, product marketing and operations information, Do Some Good is all about sharing goodness. Our goal is not to replace these social media platforms, but rather to create a unique area to celebrate and speak to the wonderful things going on in our communities. What's awesome is that Do Some Good offers easy integration with these platforms! Post a story on Do Some Good and with one click you can share it to your other online channels (e.g. Facebook, Twitter, LinkedIn). It also works the other way around! If you've already posted a video on YouTube or Facebook or if you've already created a tweet or a post on Instagram, you can easily embed these on Do Some Good to gain more reach and ensure all of your community stories are in one place! All of this allows you to save time and easily cross-promote your company among different media hubs. Not a Do Some Good user yet? Have questions or want to request a demo?